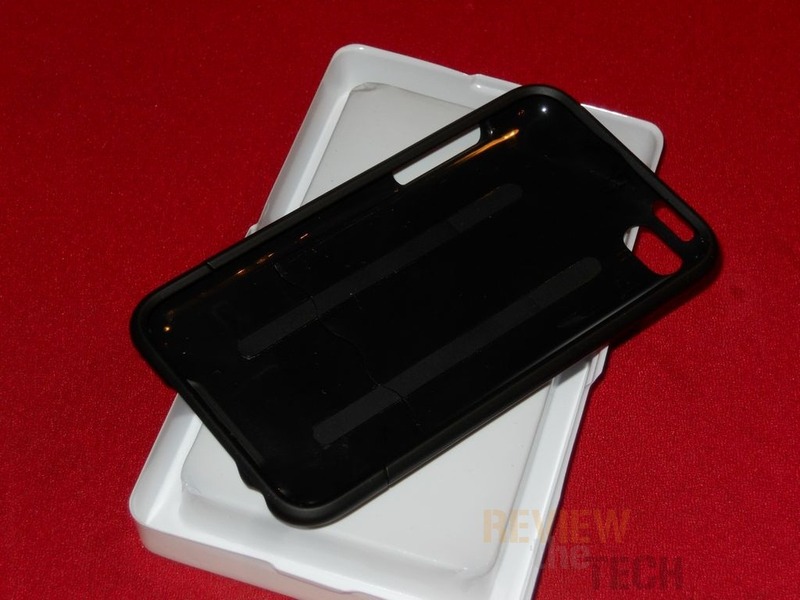 I’m back with another case review for you, this on was provided by our friends at Mobile Fun across the pond. 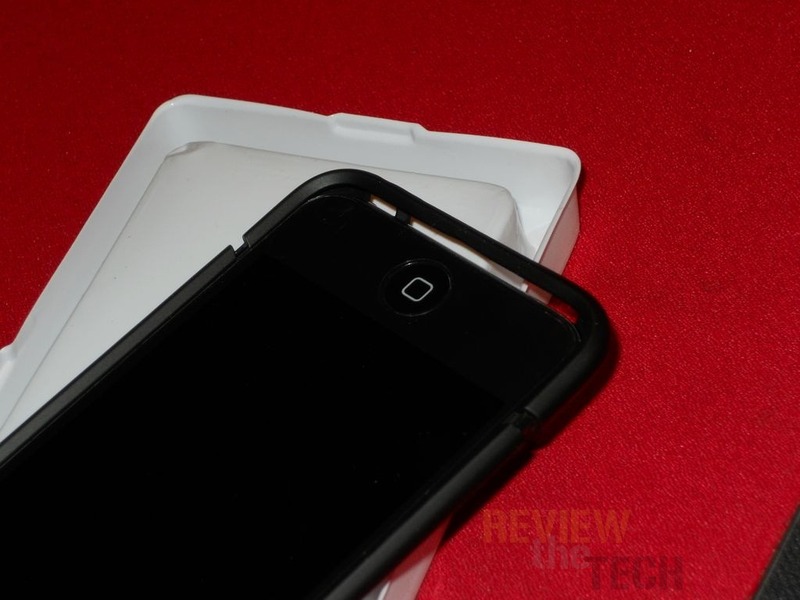 The product is a case for the iPod Touch 4th Generation. I’m one that needs a case on basically every gadget I own as I have a need to protect my investments. Hard Candy is a company I’m familiar with, I have one of there cases on my Netbook actually and I’m very fond of it so I sort of knew was I was getting with this case, quality and good protection. The case is called the Bubble Slider and I like it very much, it will be staying on my iPod Touch forever I think. 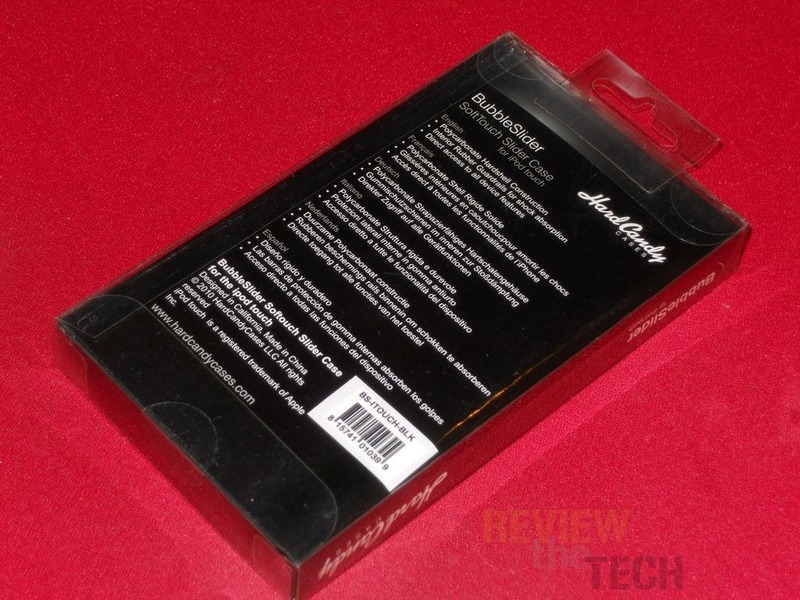 Made from a tough and durable polycarbonate, the Hard Candy Bubble Slider is the protection your iPod Touch 4G deserves. Offering full body coverage against scratches, this case is also very stylish and so guaranteed to make your device stand out from the crowd. The case is a two-piece construction, allowing you to slide your iPhone in before securing it with the bottom piece. Featuring custom rubber guardrails on the inside, the case also protects your phone from minor impacts. Running the length of the case, the guardrails dissipate knocks, lessening the impact on the back. Built especially for the iPod Touch 4G, this case guarantees a perfect fit. It also has cut-outs for all the ports, buttons and camera, maintaining full functionality of your phone while it is in the case. The Hard Candy Bubble Slider comes in a nice little box with a transparent cover. 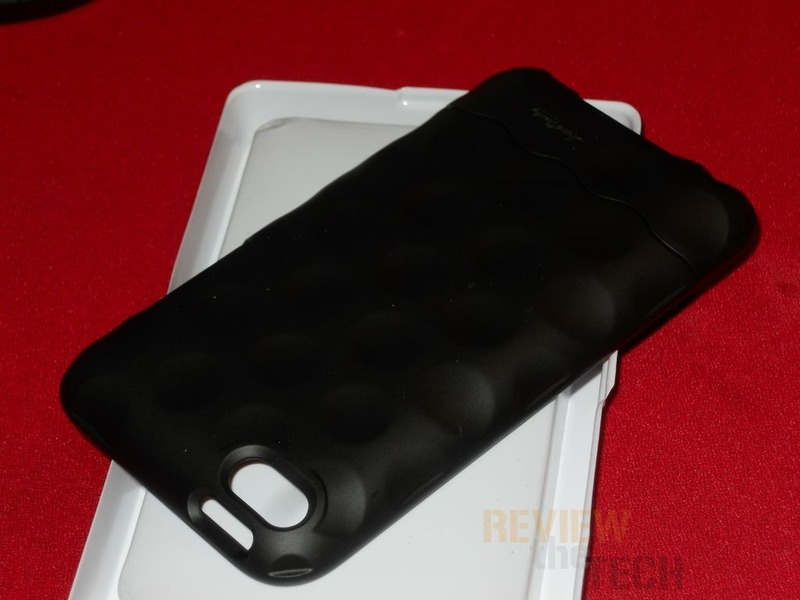 The case I got for review is black in color, which suits me just fine. 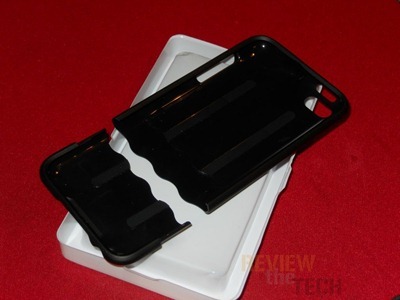 Looking inside of the case you’ll see two rubber strips that help to protect the iPod Touch from bumps. The case has openings for all of the ports and the camera. The back has a bubble pattern on it, hence the word Bubble in the name. 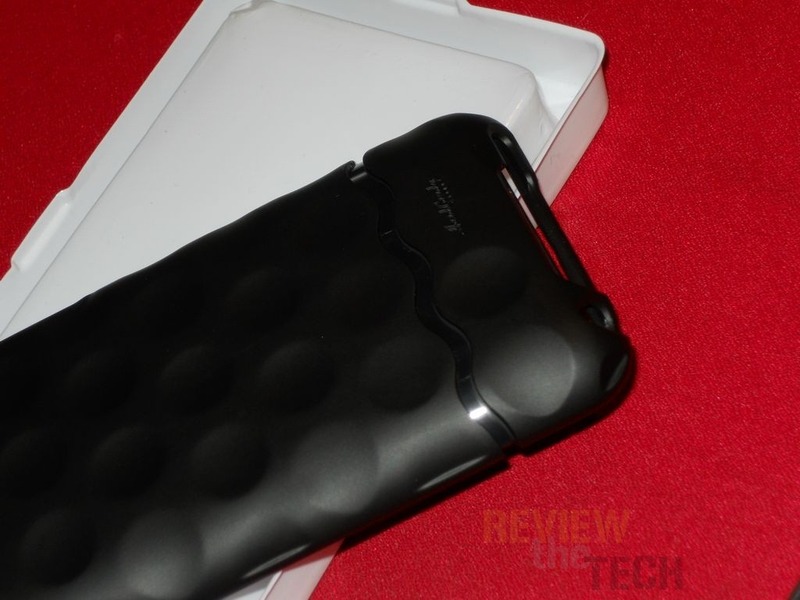 The case has a rubbery non-slip feel to it, and it feels well made. 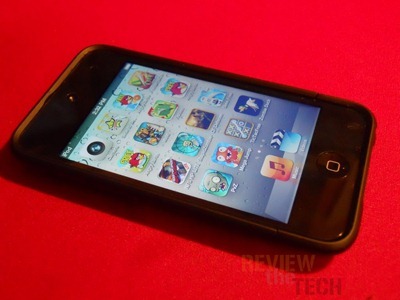 The word Slider in the name comes from the fact that the case slides open so you can insert your iPod Touch into it. For installation you put your iPod Touch into the top half of the case and then slide the bottom half into the top half. The case has small ridges on the inside that slightly overlap the front of the iPod keeping it in place very tightly. I have a screen protector on my iPod Touch of course and I found it to be extra tight fitting. The screen protector actually makes it slightly harder to get one and I found the case to slightly catch on the screen protector and lift it a bit once it was in place leaving a bubble in the protector. I found a way around this by just taking my utility knife and very slightly trimming the under edge of the case that touched the top of the iPod. This worked perfectly. 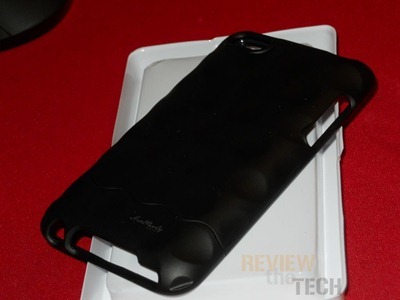 Here’s my iPod Touch in the case, I think it offers excellent protection for my iPod. 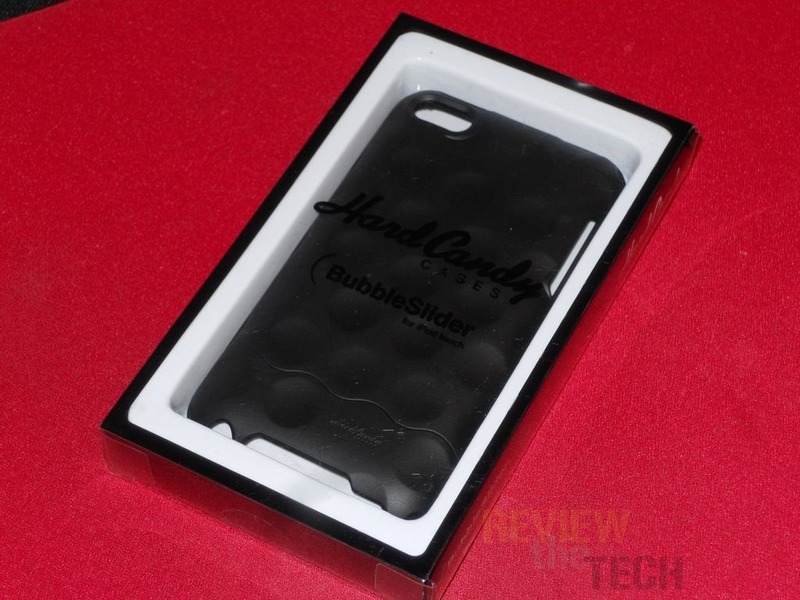 The Hard Candy Bubble Slider case from Mobile Fun is one of the best cases I’ve seen honestly. I like it a lot, my iPod Touch will be staying in it most certainly. Installation is fairly simple overall but if you’ve got a screen protector on there might be an issue with a very tight fit. The price is a high I think, $55 is quite a bit to pay for a case for an iPod Touch. On the other hand though if you want the best protection you’re probably going to have to pay for it. You could also think of it as you’re protecting something that costs a couple hundred dollars, so what’s $55 really.